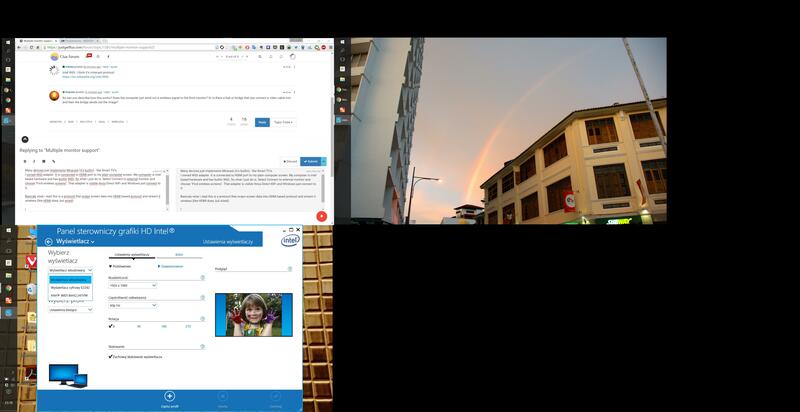 recently I've installed third monitor using WiDI (wirelles display). Windows + P -> Connect wireless screen. Flux doesn't work on the that screen. I can provide debug information. Just tell me what to do. Hmm, what connection does the device use (before it goes wireless)? F.lux does not work over a USB connection. Intel WiDi. I think it's miracast protocol. So can you describe how this works? Does the computer just send out a wireless signal to the third monitor? Or is there a hub or bridge that you connect a video cable into and then the bridge sends out the image? Many devices just implements Miracast (it's builtin) - like Smart TV's. I owned WiDi adapter. It is connected to HDMI port to my plain computer screen. My computer is intel based hardware and has builtin WiDi. So what I just do is. Select Connect to external monitor and choose "Find wireless screens". That adapter is visible throu Direct WiFi and Windows just connect to it. Basicaly what i read this is a protocol that wraps screen data into HDMI based protocol and stream it wireless (like HDMI does, but wired). Wow that's really cool!!! So we're sure it's pulling the hdmi, but maybe it's not sending the correct / changed color lookup table (LUT). I don't know, but this is awesome, thanks for sharing! Moreover what i discovered - Intel Graphic Setting doesn't show any color related settings in case of WiDI connected device. Technology is a little pain in the a... because there is noticeable lag. It's ok when you want to put something like power point slides or another static content. When you want to use it with interactive content it is no solution. I have the same problem. My ultrabook is connected to my 27 inch screen. But F.lux only works on the utrabook. 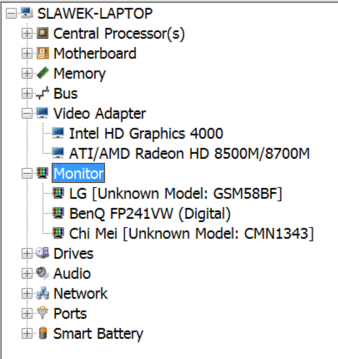 The connection that I use is Displayport of the Docking to Display port of the monitor. But the ultrabook is conected to the docking with USB3. Would it work with USB3.1C to DisplayPort? Than I buy a cable like that, I can't miss Flux! It is great! I have also the problem with external screen using directly DisplayPort (without any intermediate protocol). Working well with VGA, but not DisplayPort. @Nicolas I use a secondary monitor with DisplayPort and it works fine actually. @MeggaMortY Indeed, it's working well. It was because the initial configuration of lightness/temperature about my both screens were different, so the result of f.lux wasn't obvious. Wondering if thubderbolt connection allows flux to work on external displays?